The first of two deliveries of Canadian balsams from Nova Scotia arrived Nov. 30 and sales began immediately. Among the club members volunteering that day was Bill Coveney, the club president in his second term. Assisting club members with unloading truckloads of trees were the Westborough High School (WHS) football and hockey teams. Coveney noted that the club is grateful for the athletes” recruitment by Mark Ellis, football coach, and Chet Hallice, hockey coach. “The high school sports teams are a great help with their young backs and muscles,” he said. Also returning to help with the setup were members of Boy Scout Troop 4, who fastened price tags to trees and dragged them to display stands. The WHS athletes have been lending a hand unloading trees for a number of years. And in 2011, carols were performed at the tree lot by WHS vocal groups and jazz ensemble. In addition to donating annually to about 35 nonprofit organizations, the club regularly contributes toward specific causes. In the past few years, the club&apos;s donations to organizations purchased equipment for schools including scoreboards for sports teams and sound systems for music programs. 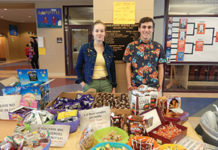 Adam Boyce, the club vice president, recognizes the reciprocal acts of kindness. This past summer, the club was one of five sponsors for the inaugural “Screen on the Green,” a series of outdoor film screenings presented at the Bay State Green by the Westborough Public Library and the Westborough Farmers Market. During the Westborough Spring Festival, the club was recognized for a significant contribution toward the garden and flagpole installed at the Bay State Green. 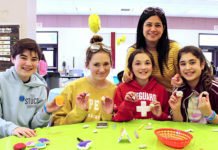 For the past six years during the Westborough Spring Festival, the club has welcomed families to a Fishing Challenge with prizes for several age divisions at Minuteman Park. Bill Kohler is the current event chair. 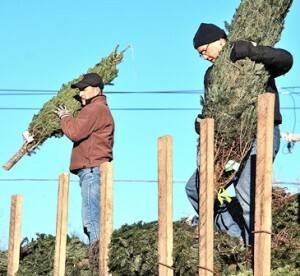 The Christmas Tree Sale continues its longtime tradition this year with about 1,600 trees of various heights. Also available are wreaths and garland. Hours of sales are weekdays 1 to 9 p.m., and weekends 9 a.m. to 9 p.m. Santa Claus is there weekend days to greet shoppers. Sales will continue until everything is sold, up to Tuesday, Dec. 24. 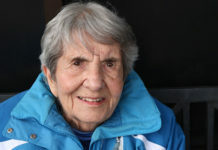 For more information about the Westborough Civic Club, visit westborocivicclub.com.